Adorn your bedroom with this contemporary designed chest to store and organize all your clothing and personal belongs. 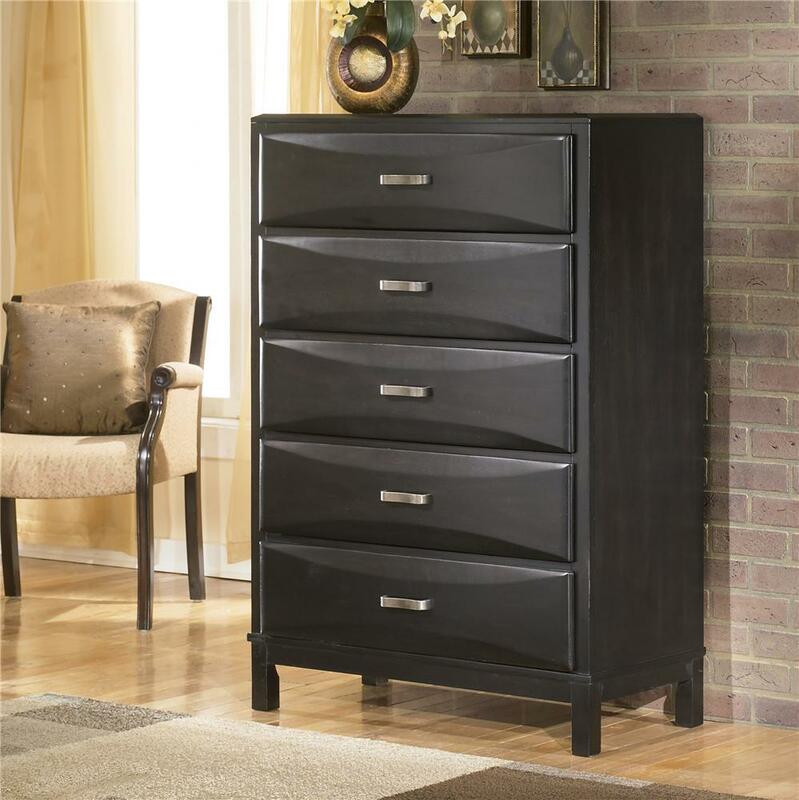 This chest features five spacious drawers with shaped overlay drawer fronts and aged bronze hardware. 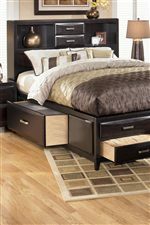 It has clean lines and an almost black finish that will add a dramatic and exciting design to your bedroom. 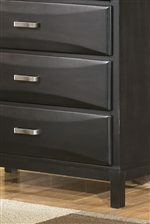 The Kira 5 Drawer Chest by Ashley Furniture at Michael's Furniture Warehouse in the San Fernando & Los Angeles area. Product availability may vary. Contact us for the most current availability on this product. Storage 5 drawers of storage space.